A few years back there was a popular movement entitled Random Acts of Kindness. The premise was that the world would become a better place and our lives would dramatically improve if we randomly showed acts of kindness to strangers. Perhaps you performed a random act and noticed how your shared kindness with a stranger improved your mood, outlook and overall attitude. Take a moment to look at this picture and notice what happens within you. Now that we have entered the season of Advent, we begin to practice random acts of kindness anew. Many of you have randomly selected angels to provide Christmas gifts to families in need of Christmas kindness. Perhaps you have placed money in the Salvation Army kettle as you are greeted by the smile of a stranger who is ringing a bell and wishing you a Merry Christmas. 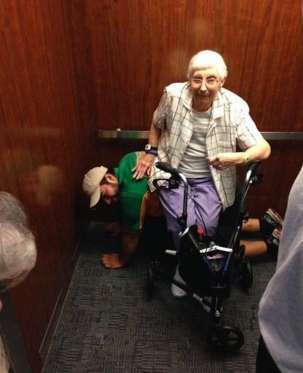 This random act of kindness goes both ways. The paradox of Advent; however is that God's loving kindness entered the world intentionally rather than randomly. The prophet Isaiah foretold of God's great act of loving kindness that was to enter the world through God's intentional salvation. The good news of Christ's birth is that God intentionally shines his light in a darkened world so that all can see and receive the love of Christ. Look at this picture again. How will you share the good news this advent season? Shine your light, O Lord, into the darkness of our world. Inspire us during this Advent season to share the good news of Christ's birth through acts of loving kindness that we share with family, friends and most of all, with strangers. Amen.